He was fishing with his son when I saw him from far down the beach. 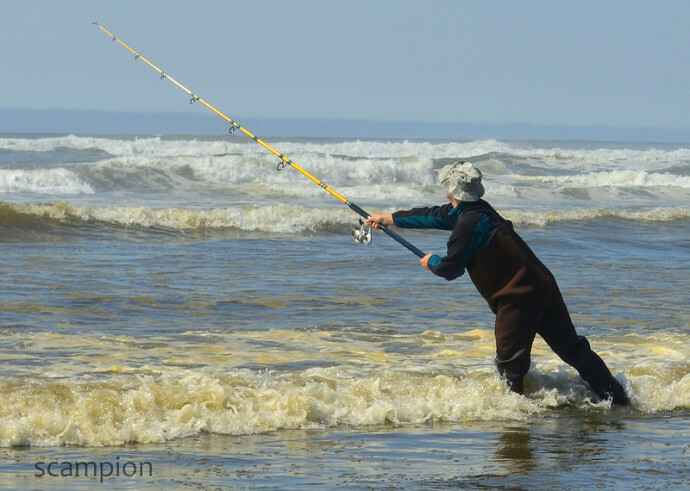 They did a catch and release before the boy retired to the lawn chair camp their family had set up in the dry sand far from the incoming tide. He gave me his consent to take his portrait and simultaneously waded into deeper water. The only way I’d capture his expression — going farther into the surf than he and looking back — was not my plan. And my Nikon doesn’t swim well. 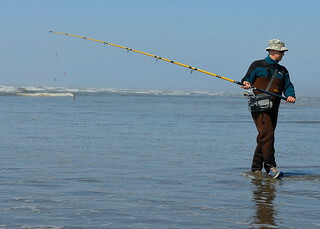 I waded in shin-deep and captured him casting into the surf.